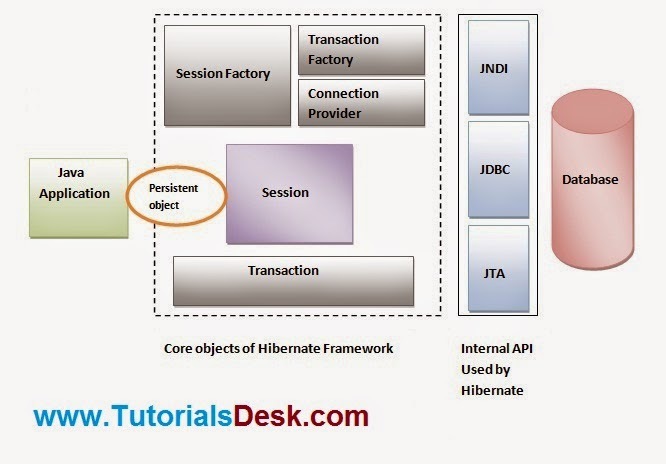 Hibernate framework uses many objects session factory, session, transaction etc. alongwith existing Java API such as JDBC (Java Database Connectivity), JTA (Java Transaction API) and JNDI (Java Naming Directory Interface). Database Connection: This is handled through one or more configuration files supported by Hibernate. 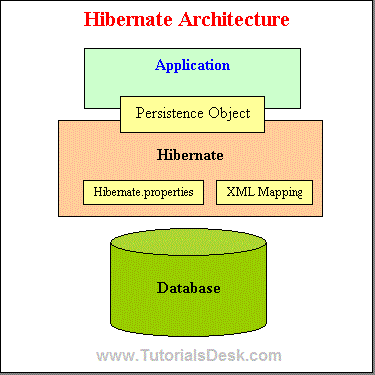 These files are hibernate.properties and hibernate.cfg.xml. Class Mapping Setup: This component creates the connection between the Java classes and database tables.. It is a factory of JDBC connections. It abstracts the application from DriverManager or DataSource. Hibernate Connection management service provide efficient management of the database connections. Database connection is the most expensive part of interacting with the database as it requires a lot of resources of open and close the database connection. It is a factory of Transaction. Hibernate provides a lot of flexibility in use. It is called "Lite" architecture when we only uses the object relational mapping component. While in "Full Cream" architecture all the three component Object Relational mapping, Connection Management and Transaction Management) are used.